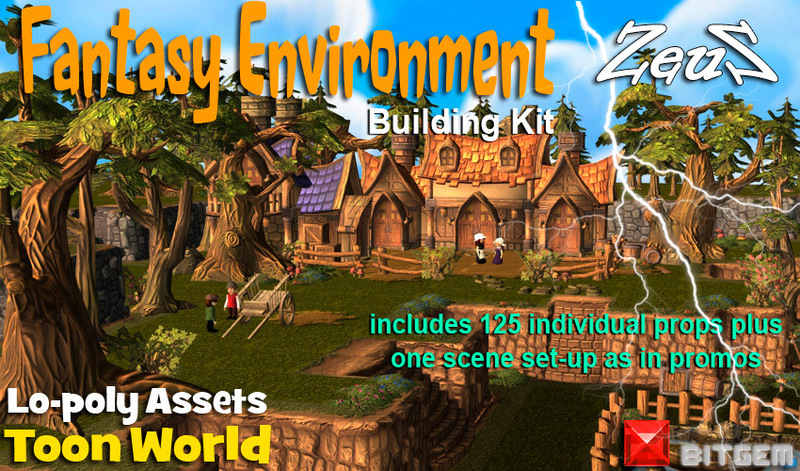 Fantasy Environment Building Kit - Create your own unique fantasy scene! 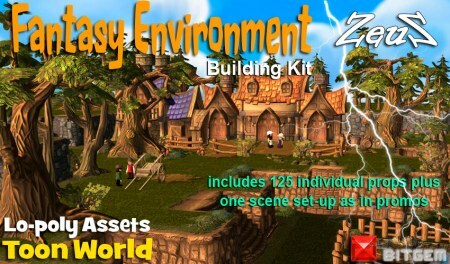 Description: This is an amazing set of 126 individual props which include Houses, Trees, Rocks, Rock Formation, Fence Parts, Ground Planes, cobblestones, barrels and crates, stairs, walls, wood chunks, planks & mushrooms. Create your own unique fantasy scene! Also included is a complete scene set up as shown in the promos so you can start animating immediately. Full scene set up is 85,000 polys. Each prop is low poly but well textured with Normal Map.